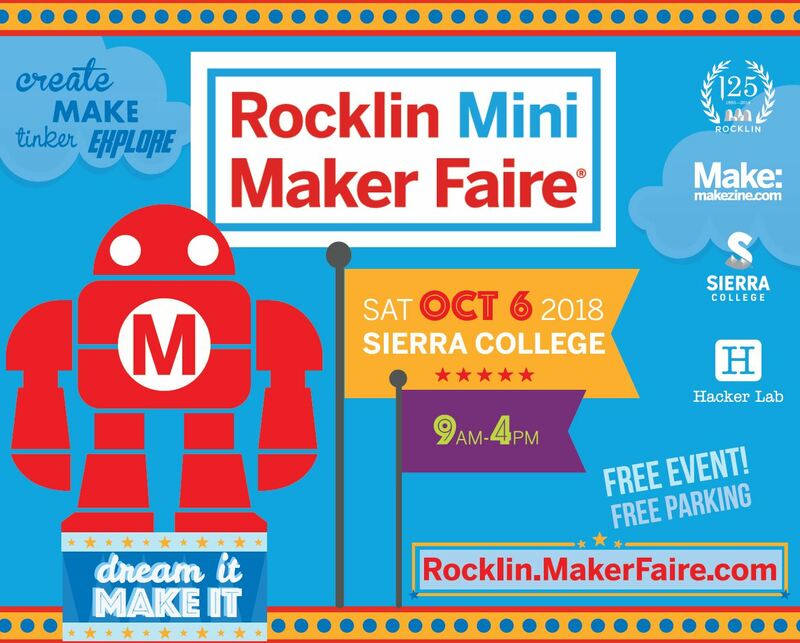 Come see what we're up to at the Rocklin Mini Maker Faire on Oct 6 from 9-4 at Sierra College! Previous article:Rocklin Mini Maker Faire!! 4-H Computer Club is proud to present: Mechatronics! For 4-H kids generally 12+ years old with little or no experience in electronics, mechanics or robotics. * Build and program a robot as part of a team. * Demonstrate your skills in competition! Intended for kids roughly 12 and up. We are using curriculum from https://natcar.org. Meetings are Saturdays 3/16 - 6/29 at Sierra College, room Mt-9. Parking in lot 6. Description:Please use the door at the rear of the library as the main library will be closed. Please use the door at the rear of the library as the main library will be closed.